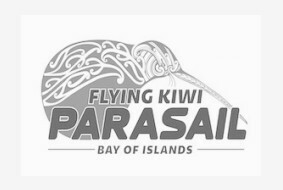 Your PARASAIL flight lasts about 10 minutes. The two of you go up together in the parachute wearing your own separate harnesses, sitting next to each other. A child under 8 years must parasail with someone over 18 years and weigh more than 20 kilos. The three of you sit next to each other wearing your own harnesses. Children under the age of 8 need to Parasail with an adult over 18 years and weigh more than 20 kilos. Sunscreen, warm layer in cooler months. Shoes are optional. Note: Even in the summer months it is cooler out on the bay versus being on land..
No experience required and no physical restrictions apply.